Xanax is a prescription medication used to treat anxiety and panic disorders. A controlled substance, when taken incorrectly, Xanax can cause extreme paranoia and suicidal ideation, and if taken with alcohol, it can lead to suppressed breathing, seizures, and death. Xanax withdrawal can be dangerous and medical assistance is advised. Although Xanax is legal, and one of the most commonly prescribed anti-anxiety medications in the U.S., misuse and non-medical use of the drug can cause severe impairment and medical consequences. Xanax is highly addictive. From 2005 to 2010, ER visits for non-medical use of Xanax doubled, and have remained steady since. Emergency room visits for Xanax are the same across gender lines, with the majority of cases falling within the 25 – 34 age range. Also, many of these individuals who sought treatment for a Xanax overdose had mixed the medication with alcohol and opioids, making the situation incredibly dangerous. Although Xanax is addictive and deadly when misused, treatment is available for those who wish to break the cycle of addiction. Medically supervised detox centers can help people safely withdraw from the effects of the drug. The first symptoms of withdrawal emerge within a few hours after the last dose. General feelings of unease and illness last from 1 – 4 days, with acute symptoms peaking about two weeks after the last dose. If not addressed by a professional, symptoms can linger for months or even years. It’s vital that people who are looking to quit a Xanax addiction get help before, during, and after withdrawal, so they don’t relapse or experience unpleasant, painful symptoms that diminish the quality of their life. What are the physical symptoms of withdrawal? Xanax is part of the benzodiazepine drug class, and it acts as a central-nervous-system suppressant. What this means is the Xanax, and other drugs of its class slow down respiratory rate, heart rate, temperature, and blood pressure. When someone is addicted to Xanax, they’ve artificially suppressed these bodily functions for a long time. Once they stop taking the drug, these functions rapidly increase and can go into overdrive. People who’ve been addicted to Xanax, especially if it’s been for an extended period, need to taper off or replace the drugs or they can experience severe side effects. After the last dose, these symptoms can come on suddenly and linger for many days, causing distress and discomfort. What are the emotional or psychological symptoms of withdrawal? What is the difference between going cold-turkey with a Xanax addiction and medical detox? Cold-turkey means someone who’s been addicted to something suddenly quits taking or imbibing the substance. With Xanax and other benzodiazepine drugs, this isn’t a safe method for stopping. In fact, it’s incredibly dangerous and risky to quit Xanax cold-turkey. Since Xanax acts as a suppressant for many critical bodily functions, and it rewires neural pathways in the brain for things like pleasure, risk, and reward, a sudden cessation can cause these systems to ramp up quickly. People who are trying to quit Xanax need to be monitored by trained medical professionals so they can avoid the risk of having severe grand mal seizures when attempting Xanax withdrawal. Also, since panic attacks and depression are an emotional risk factor with Xanax withdrawal, people who are trying to quit need assistance from therapists. Without it, patients are at increased risk of self-harm, suicide, and relapse. What is safe for Xanax detox? It is generally considered safe for people who enter medical detox for Xanax addiction to get help with a tapering off schedule. By keeping small amounts of Xanax or other benzodiazepines like Valium in the bloodstream while the patient safely tapers off the drug, physicians can prevent some of the more severe and dangerous physical and emotional symptoms of withdrawal from happening. In medical detox, patients can also safely take antidepressants and beta blockers to control cardiac functions. Without help from the medical community, people who are trying to quit Xanax are at risk of hurting themselves. It’s highly recommended that they don’t take the risks associated with stopping on their own and go to a medical detox center for help. It is definitely not safe to suddenly stop taking Xanax. 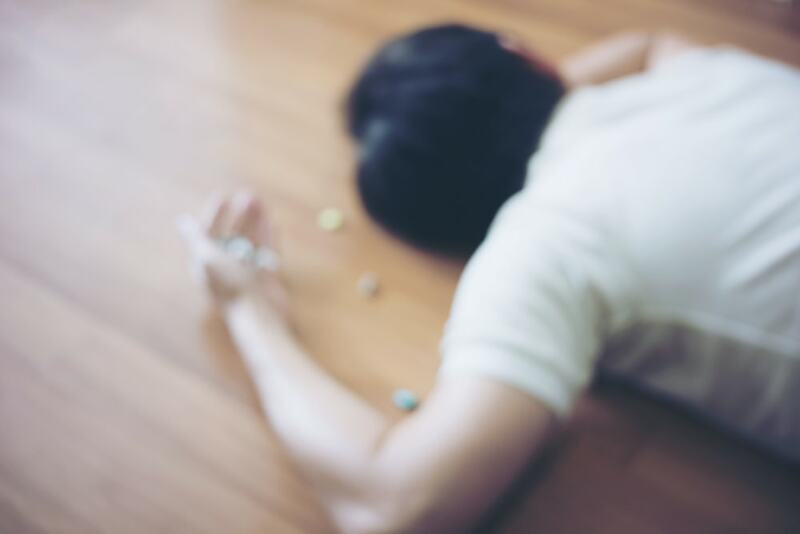 Sometimes when people are experiencing painful or distressing withdrawal symptoms, they will either self-medicate with alcohol or other drugs or start taking Xanax again once the symptoms get too overwhelming. Also, if someone is trying to quit at home, they’re in an environment that makes it far too easy for them to relapse. In a detox center, people who are going through Xanax withdrawals are in a safe environment where they don’t have access to the drug or alcohol, nor are they around any negative influences that could lead them back down the path of addiction. What happens during the Xanax withdrawal process? In a medical detox center, doctors will first monitor the patient for signs of polydrug use, or any physical or underlying health problems. The presence of these can affect the person’s treatment regimen while they’re in a detox and rehab center. Doctors will formulate a tapering off schedule based on numerous factors, such as how long the patient has been addicted, if they are a polydrug user, if they have any underlying health issues, etc. Doctors, therapists, and social workers all act as a team on behalf of the patient to give them the best care during and after the withdrawal phase. Also, the rate, severity, and longevity of withdrawal vary significantly by individual. Metabolic rate, age, gender, weight, and overall health can all affect how long withdrawal symptoms last and how severe they are. How is Xanax withdrawal different from other drugs in its class, like opioids or sleeping pills? Xanax withdrawals tend to last longer and are more intense than opioid withdrawals. But Xanax is similar to sleeping pills in that it isn’t safe to quit the drugs cold-turkey. Unlike opioids, once someone safely withdraws from Xanax, cravings aren’t as long-lasting or as intense as those with opioid addiction. Regardless of the class of drug, recovery is more likely to be a success and has less medical risks associated with it if someone gets help for addiction from a medical detox center.